The application period for NAHRI's advisory board is now closed. Please check back in 2020. If you filled out a 2019 application, a NAHRI team member will reach out to you the first quarter of 2019. The NAHRI Mission and Definitions Committee drafted NAHRI's mission, value statement, and definition of revenue integrity. This committee is not currently accpeting applications. The NAHRI Forms and Tools committee evaluates the publication merit of field-sourced peer review materials. Through an established review process, committee members will build NAHRI’s community-sourced library of tools and forms. Committee members will also be tasked with developing or submitting their own forms and tools for review on a quarterly basis. NAHRI Conference Committee members are tasked with reviewing and vetting applications submitted through our Call for Speakers for the annual Revenue Integrity Symposium. They will also assist with developing the timed conference agenda. The NAHRI Credential Committee is tasked with developing NAHRI's Certification in Healthcare Revenue Integrity (CHRI) exam. This committee is not currently accepting applications. The NAHRI Networking Committee is tasked developing and overseeing NAHRI networking groups, mentorship programs, and live networking events/receptions. The NAHRI Professional Advocacy Committee is tasked with developing the NAHRI Code of Ethics and assisting with the research and development of position papers and other efforts that can help further the revenue integrity profession. Task: Providing leadership, expertise, and an industry voice for the NAHRI membership. Boerner is the President of Boerner Consulting, LLC in New Berlin, Wisconsin. Since 1997, she has supported Compliance Officers, Privacy Officers, and Security Officers. She specializes in compliance program effectiveness reviews, HIPAA privacy gap analysis and HIPAA security risk analysis and implementation. Boerner served on the HCCA’s board of directors from 2010-2013. 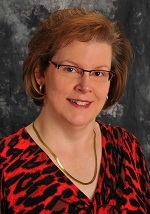 She is a past-president of HIPAA Collaborative of Wisconsin and has served on the board since 2003. In 2010, Boerner and her consulting team supported the MEDIC contract with the Center for Medicare & Medicaid Services on the Health Plan Compliance Program Effectiveness Audits. Boerner is a frequent national speaker and contributes bi-monthly articles to the Journal of Health Care Compliance since 1999 and authors the monthly “Exhale” column in Compliance Today since June 2015. 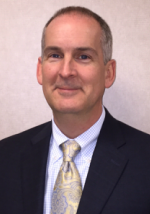 Cahoon is the director of revenue integrity for Southwest General Health Center, a non-profit, 350-bed community hospital serving the greater Cleveland area. 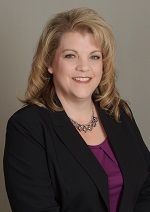 She joined Southwest General in 2003 and has over 15 years of experience in healthcare finance and revenue cycle. In her current role, Cahoon oversees the revenue integrity department which consists of the revenue integrity supervisor, charge capture specialists, billing analysts, and hospital cashier. Sarah L Goodman, MBA, CHCAF, COC, CCP, FCS, President/CEO, SLG, Inc.
Goodman is president/CEO and principal consultant for SLG, Inc. in Raleigh, North Carolina, and a nationally known speaker and author on the charge description master (CDM), outpatient facility coding, and billing compliance, and has more than 30 years’ experience in the healthcare industry. Goodman has been actively involved and held leadership roles in a number of professional organizations on the local, state, and national levels. Hirsch is vice president of R1 RCM in the physician advisory services division in Chicago and a general internist and HIV specialist. Previously, Hirsch was the medical director of case management at Sherman Hospital in Elgin, Illinois. He is certified in healthcare quality and management by the American Board of Quality Assurance and Utilization Review Physicians. In addition, he is a member of the American Case Management Association, a member of the American College of Physician Advisors, and a fellow of the American College of Physicians. Kanivetsky is Hennepin Healthcare’s (HHC) revenue integrity manager. After graduating from the University of Minnesota she spent a few years trying out different opportunities until the revenue cycle and IT bug caught her. Prior to coming to HHC, Kanivetsky worked at Allina for 13 years. Larsen is a revenue integrity specialist at Adventist Health Glendale in Glendale, California. 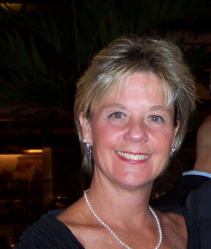 She has enjoyed 17 years working in healthcare, including many years as a CDM coordinator. Larsen’s favorite part of her job is working with departments maximizing revenue through education and charge review. In her years of work, she has experienced standardization projects, extensive price reviews and conversion of financial systems and still is passionate about revenue integrity. Longo is currently a senior managed care revenue cycle analyst at Middlesex Hospital in Middletown, Connecticut. She has over 30 years of experience in hospital revenue cycle including Chargemaster, billing and internal auditing, and has held leadership roles in both patient accounting and revenue integrity. Longo is an active member of the AAPC and HFMA. 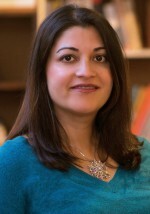 May is the vice president of revenue cycle for Renown Health in Reno, Nevada. She oversees the revenue cycle for two acute care hospitals, one inpatient rehabilitation hospital, a children's hospital, and all the integrated health network's urgent care, medical group and specialty locations. Renown Health is the only not for profit healthcare system in Northern Nevada. Previously, May served as Renown Health’s director of revenue integrity, with a focus on developing a team to cover all aspects of revenue integrity. 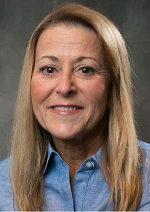 May has over 25 years’ experience in both the hospital and professional revenue cycle, is a certified Transformational Health Care leader involved in process improvement projects across the health network, and is an active member of the HFMA Nevada Chapter. Rinkle is a lead regulatory specialist and instructor in Middleton, Massachusetts, for HCPro's Revenue Integrity and Chargemaster Boot Camp as well as instructor for the Medicare Boot Camp®—Hospital Version, Medicare Boot Camp®—Utilization Review Version, and Medicare Boot Camp®—Critical Access Hospital Version. Rinkle is a former hospital revenue cycle director and has over 30 years of experience in the healthcare industry, including over 12 years of consulting experience in which she has spoken and advised on effective operational solutions for compliance with Medicare coverage, payment, and coding regulations. Santoro is a revenue integrity system director at Hartford Healthcare in Newington, Connecticut. She has 20 years of experience with charge master, claim edits, denials, and coding. Schneider is vice president of corporate compliance and internal audit for Lifespan in Providence, Rhode Island. A registered nurse, Schneider has a Bachelor of Science degree in Nursing and a Masters of Business Administration both from the University of Connecticut. 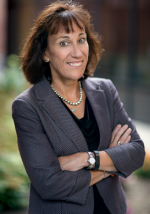 She has over 30 years of healthcare experience in clinical intensive care, managed care contracting, network management, quality, compliance, privacy and quality analytics. Prior to her position at Lifespan, she worked as the system revenue compliance operations officer and system compliance operations officer at Yale New Haven Health. Schneider has worked for managed care organizations, hospitals in both the community and academic settings and home health care. She is a frequent speaker at her health care organization and local health care seminars. 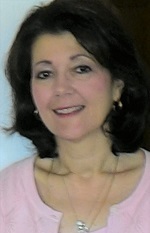 She volunteers on several community and professional boards. Settlemyer is an adjunct instructor for HCPro’s Revenue Integrity and Chargemaster Boot Camp®. In addition, he is an assistant vice president, revenue cycle, with Atrium Health (formerly Carolinas HealthCare System) based in Charlotte, North Carolina. Atrium Health is one of the leading healthcare organizations in the Southeast and one of the most comprehensive public, not-for-profit systems in the nation. Settlemyer has 25 years’ experience in healthcare finance and reimbursement, and has been with Atrium Health for more than 15 years. His focus is in chargemaster (CDM) compliance, charge capture, and revenue integrity. He has direct oversight or consulting oversight of the CDM for all Atrium Health hospitals and their associated outpatient care locations, such as provider based clinics, healthcare pavilions, and freestanding emergency departments. Jugna Shah, MPH, President, Nimitt Consulting Inc.
Shah is the president and founder of Nimitt Consulting, Inc., in Spicer, Minnesota, a firm specializing in case-mix payment system design, development, and implementation. She has 15 years of experience working with providers on the ongoing clinical, operational, financial, and compliance implications of Medicare’s OPPS based on APCs. Shah has educated and audited numerous hospitals on their drug administration coding and billing practices. She has contributed to several books and numerous OPPS/APC articles and is a contributing editor of HCPro’s Briefings on APCs. Simmons is vice president of revenue and reimbursement at Vanderbilt University Medical Center in Nashville, Tennessee. A Texas Certified Public Accountant, she brings more than 30 years of experience in healthcare operations and finance, and public accounting for healthcare entities. Simmons has expertise in healthcare policy, reimbursement principles from government programs (Medicare and Medicaid) as well as healthcare financial analysis and cost accounting. Much of her focus throughout her career has been on identifying revenue opportunities and pursuing those through improving hospital operations and by Medicare filings and appeals. Prior to relocating to Vanderbilt, she was the director of clinical revenue and reimbursement for U.T. M.D Anderson Cancer Center where she was responsible for Medicare and Medicaid reimbursement, cost accounting, revenue and rate-setting, financial analysis and clinical decision support reporting. Weiss joined RestorixHealth in Metairie, Louisiana, in June 2011 which facilitated the formation of the New Orleans office revenue cycle team. Prior to joining RestorixHealth (formerly Wound Care Specialists), Weiss managed a general surgery practice for 10 years in the Greater New Orleans area where she served as practice manager and was also the surgeons in-office medical assistant. In 1995, her career moved to the payer side. She became the provider education representative for Pinnacle Medicare Services, providing CMS Medicare Part B provider education and denial management for providers throughout Louisiana and other states within the MAC jurisdiction. For those 12 years with Medicare, Weiss conducted provider education workshops, seminars, and spoke to a variety of specialty societies, coding groups and medical manager associations. She provided information and assistance with claims submission issues, denial management and effectively communicated CMS’ annual changes regarding reimbursement and coverage for Part B Providers. She also served as Ochsner Health System’s Internal Medicare Consultant for five years before joining RestorixHealth in a full-time capacity. 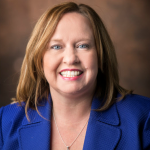 Williams is senior vice president of the revenue integrity division and compliance auditor at Revant Solutions in Trussville, Alabama She has more than 30 years of healthcare experience, including a background in multiple areas of nursing. For the past 20 years, Williams has been in the field of coding and reimbursement and has performed numerous E/M, OP surgical, ED, and observation coding chart reviews from the documentation, compliance, and reimbursement perspectives. She serves as a contributing author to articles published in HCPro’s Briefings on APCs and is a nationally recognized speaker on various coding and reimbursement topics. Williams is also an AHIMA ICD-10 Ambassador. NAHRI would like to thank the following emeritus board members for their service. Lamkin is CEO of PACE Healthcare Consulting in Bluffton, South Carolina. She has 20 years of hospital CEO experience and is a nationally known speaker and author on utilization and billing compliance, including CMS recovery auditors. Mackaman is the developer and lead instructor in Middleton, Massachusetts, for HCPro’s Medicare Boot Camp®—Critical Access Hospital Version and Rural Health Clinic Version and instructor for the Hospital Version and Utilization Review Version. She has 24+ years of experience in the healthcare industry, including inpatient and outpatient prospective payment systems; and coding, billing, and reimbursement issues for hospitals, critical access hospitals, and rural health clinics. Mackaman has served as compliance officer and director of health information services for healthcare systems. Rinker is the revenue cycle director at Community Hospital Anderson in Anderson, Indiana, an affiliate of the Community Health Network. She was awarded her organization’s award for innovation in 2012. In the past 20+ years she has worked to find creative ways to bridge the gap between the clinical side and the financial side of healthcare. She has a Bachelor of Science degree in Medical Technology from Indiana University and is board certified by the American Society of Clinical Pathologists with a specialty certification in Laboratory Management. She worked as a laboratory manager before completing her Master’s Degree in Health Administration at Indiana University. She is chair of the Provider Round Table, an HFMA member, and a Court Appointed Special Advocate volunteer. She currently volunteers with the United Way and was the recipient of the 2015 Madison County United Way Volunteer of the Year award. Susan Gatehouse; Jen Hayes, MHA, CHFP; Mia Reddick-Smith, MBA; Amy Tepp, CPA; Tracey A. Tomak, RHIA, PMP; Meagen Windler-Hacker.